Central Daylight Time is currently observed. Central Daylight Time (CDT) is observed in east central USA and Canada, and most Mexico in the Summer. • USA: Wisconsin, Illinois, Alabama, Mississippi, Louisiana, Oklahoma, Arkansas, Missouri, Iowa, Minnesota, Most Texas, Most Kansas, East Nebraska, East part of South Dakota, East part of North Dakota, West Tennessee, West Kentucky. 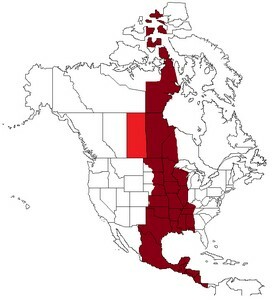 • Canada: Manitoba, Nunavut, West Ontario. • Mexico: Most Mexico except the northwestern region. AKDT AKST ADT AST BRST BRT CST EDT EST HST MDT MST PDT PST Argentina Bahamas Barbados Belize Bolivia Cayman Is. Chile Colombia Costa Rica Cuba Dominican Ecuador El Salvador Guatemala Guyana Haiti Honduras Jamaica Nicaragua Panama Paraguay Peru Trinidad Uruguay Venezuela Virgin Is. CDT starts at 2 AM on the second Sunday in March each year, turn the clock 1 hour forward to 3 AM at that time. CDT ends at 2 AM on the first Sunday of November each year, turn the clock 1 hour back to 1 AM at that time.